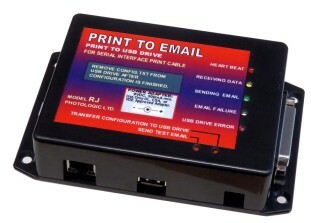 Send print data to email. industrial alarm panels. Emails are sent automatically and immediately. This design is meant for unattended 24 hour operation. date/time, so that integrity checks can be made. - You wish to replace a dot matrix printer that prints plain generic text characters. No graphics, rich text, or font changes should exist. 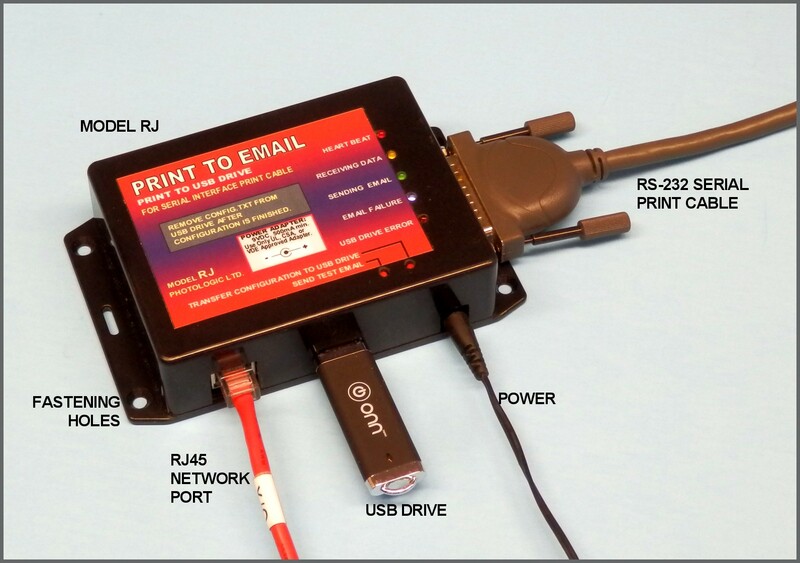 - Your print cable uses an RS232 Serial Interface. For parallel interface cable add Model CS-ZN adapter, or Model PT8 (Pass-Thru to Parallel Printer)..
- An ethernet RJ45 cable connected to a local network must be available. 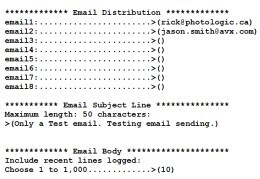 - Maximum size of outgoing email (with attachment) is limited by recipients email account, e.g. 20 MB. E.g. 15,000,000 print characters can be emailed. 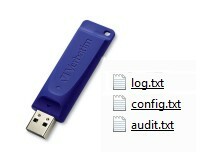 - A common USB drive must be installed. E.g. 2GB, 64GB, etc. - The Model RJ Emailer waits until the printing is finished before sending the email. A print data idle period determines the end of the print report. data whenever it is convenient (e.g. once a day). This gives the user the opportunity to automate the data collection. an email product of the print data. Retire the printer anytime just by disconnecting it. 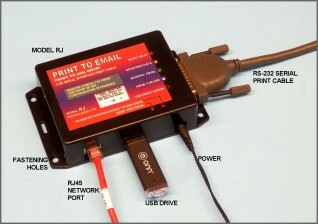 data to the Model RJ "Print to Email" unit.